"Professional and kind that's all I can say . I highly recommend to everybody." "They were awesome! Really knew what they were doing. I am definitely going back." 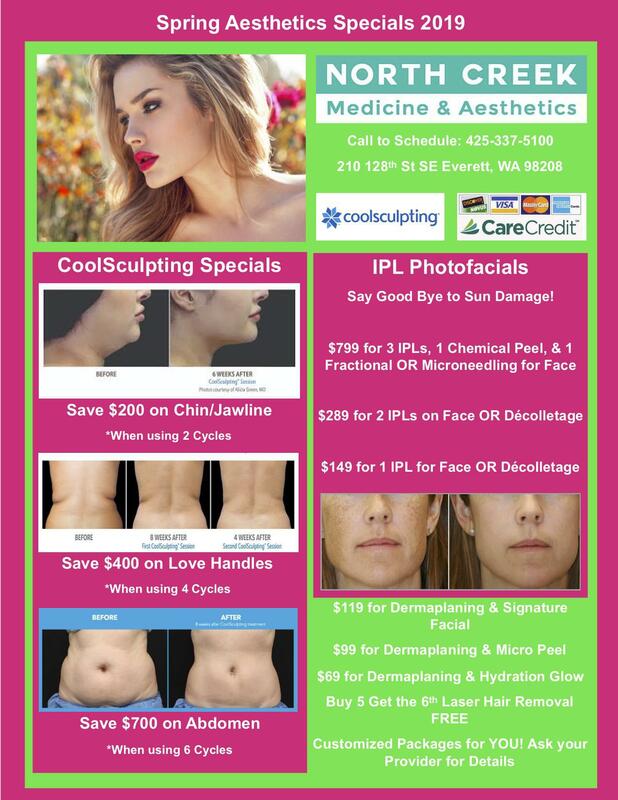 North Creek Medicine & Aesthetics offers locations in Everett, Washington. Since its inception in 1987, Dr. Mark Swyer has expanded the practice to include Acupuncture and Aesthetics. 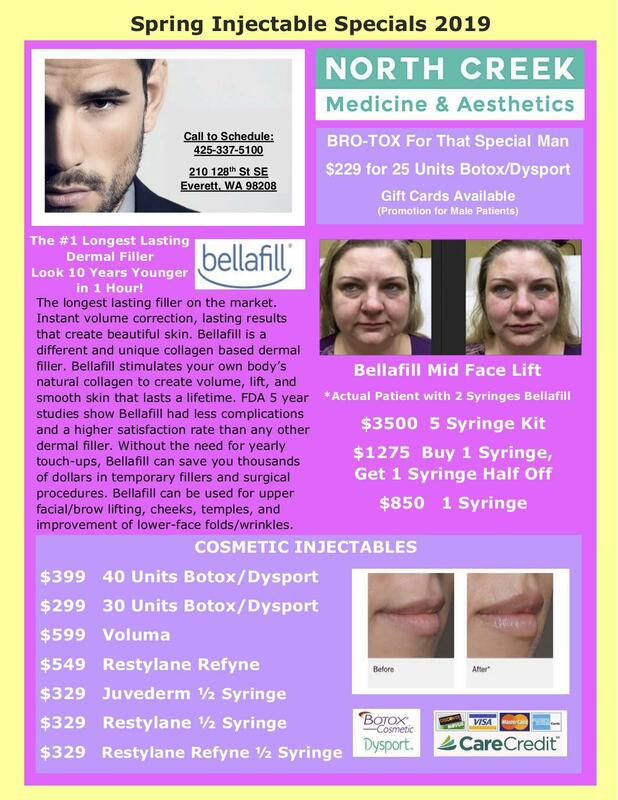 North Creek Medicine & Aesthetics offers a variety of Aesthetic Services including Botox, Dermal Fillers, Chemical Peels, Microneedling with Rejuvepen, IPL Photofacials, and non-invasive body contouring with SculpSure. Their highly trained, friendly team is ready to answer your questions and put you at ease from the minute you walk in the door until well after you leave. At the helm of the practice is Dr. Mark Swyer, one of the area's top internists. A graduate of Rutgers University Medical School, Dr. Swyer believes that the best way to achieve optimum health is through preventative medicine. Offering a variety of preventative screenings including testing for high cholesterol, high blood pressure, type II diabetes, and other health problems associated with diet and exercise, Dr. Swyer's primary goal is to help his patients understand the role their lifestyle has in preventing disease. His philosophy includes treating his patients as though they are members of his family. In these unhurried settings, he collaborates with his patients to create treatment plans that will optimize their health and well-being. North Creek Medicine & Aesthetics accepts most health insurance plans, Credit Cards, Cash, and Care Credit. For more information or to schedule an appointment, contact one of our offices.